Ten years ago Adrian Grenier was still just another struggling actor. He wasn’t yet the star of HBO’s “Entourage,” and he had not yet made a documentary about a teenage paparazzo. In fact, his directorial debut was a documentary in which he was even more at the center than either, though it now finds a release after the success of the others. 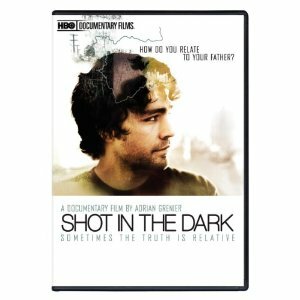 Conveniently, this film about Grenier’s reunion with his estranged father is released to correspond with Father’s Day. Unfortunately, the documentary itself is less than impressive. Grenier begins his journey of reconnection in his hometown of New York, asking his mother and father figures questions. Then on Father’s Day he makes the plunge and calls his father in Ohio, who lives there with a new family. In order to find answers, Grenier takes a road trip with stops to visit family along the way, ultimately ending with a visit to his father. There are some unexpected revelations which point the blame elsewhere in terms of the initial separation, although Grenier seems incapable of anger about anything. Part of what makes the film difficult to relate to is Grenier’s inability to show his emotion. He is beyond passive, and he tries very hard never to make waves. This may make for an ideal friend, but it makes for somewhat of a frustrating and dull viewing experience for a documentary subject. Perhaps it would have been different if someone else was documenting the experience other than the subject. There are plenty of special features on the DVD release, including an audio commentary with Grenier, his father and editor/producer Jim Mol. There are also several update features, giving us further information about this family, and additional scenes and footage of Grenier discussing fatherhood.